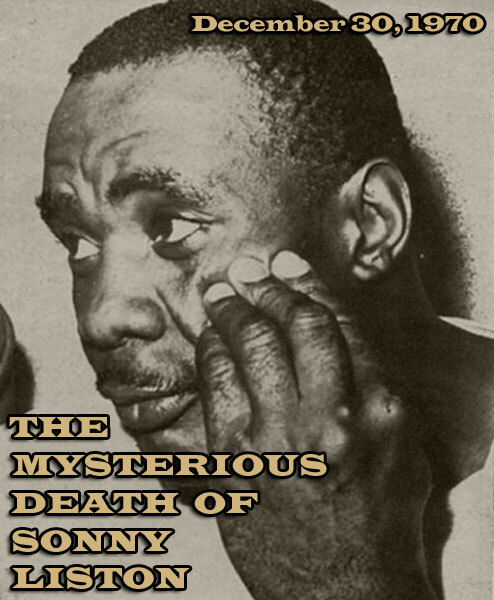 Former Heavyweight Champion, Charles "Sonny" Liston died on this day in 1970. Much speculation has surrounded his death in the many years since. It is presumed that Sonny died of an accidental heroin overdose while alone in his Las Vegas home. Although the appropriate paraphernalia was found in the pocket of the bathrobe he was wearing when his wife Geraldine discovered his body, she has always maintained that Sonny had a phobic fear of needles, and that he would never be able to use one. This helped to fuel the many theories that Sonny was murdered, and that his past mob connections had something to do with his death. In any case, one of the most interesting characters of the heavyweight division was lost on December 30, 1970. Liston who trained & fought out of Philly when he won the title, posted a career record of 50-4. He was king of the world from 1962-1964.